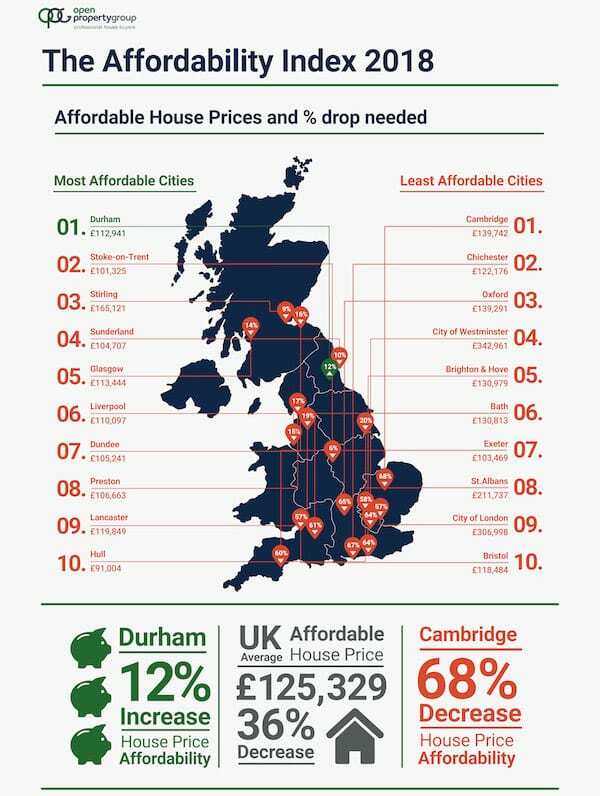 Property prices in cities across England,Scotland and Wales need to fall by an average of 36% to £125,329 to make owning a home affordable for a single person earning an average wage. City of London house prices needto fall by 57% to become affordable. 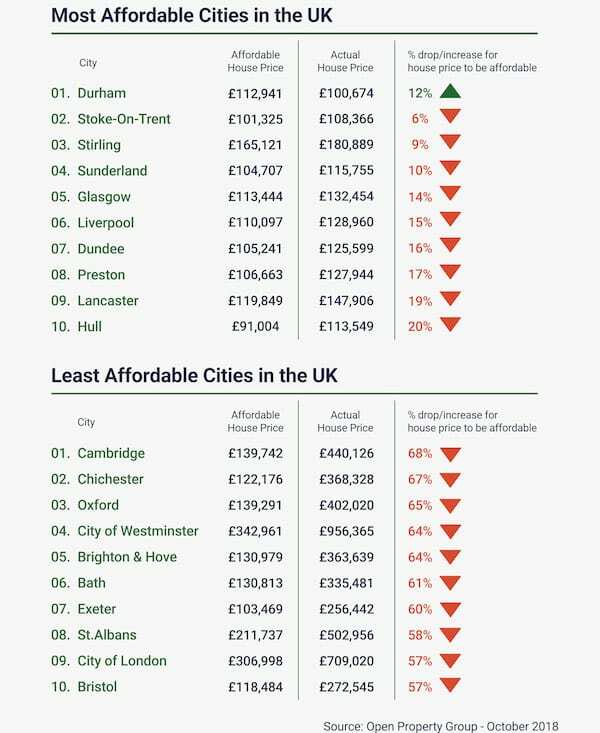 Using average salary and house price data for cities, it revealed that Cambridge is the most overpriced place in England where prices would need to fall by 68% for someone with a 20% deposit earning an average wage to afford to buy. Don’t worry they will fall a lot more than that..
Nice one may this will be the perfect time to buy a house there.